Back by Popular Demand — A Custom Design Weekend with Janis Kerman! Posted on May 17, 2012 at 2:53 pm. Ok, let’s be honest with each other. We’ve all got those pieces of jewelry that we haven’t worn in years, and aren’t ever going to wear in the future but, for whatever reason – and I know that it’s usually a sentimental one – aren’t going to part with them either. Well, what if you could take those items and convert them into an original one-of-a-kind design? Well, one of our favorite things here at Max’s is the annual custom design event we have with Montreal-based jewelry designer Janis Kerman, and it’s taking place this weekend. Janis will be meeting with customers who want to create something new — either from their unused jewelry and gemstones that are currently collecting dust in the drawer, or because they have an idea in mind of what they want but just haven’t been able to find the right thing. 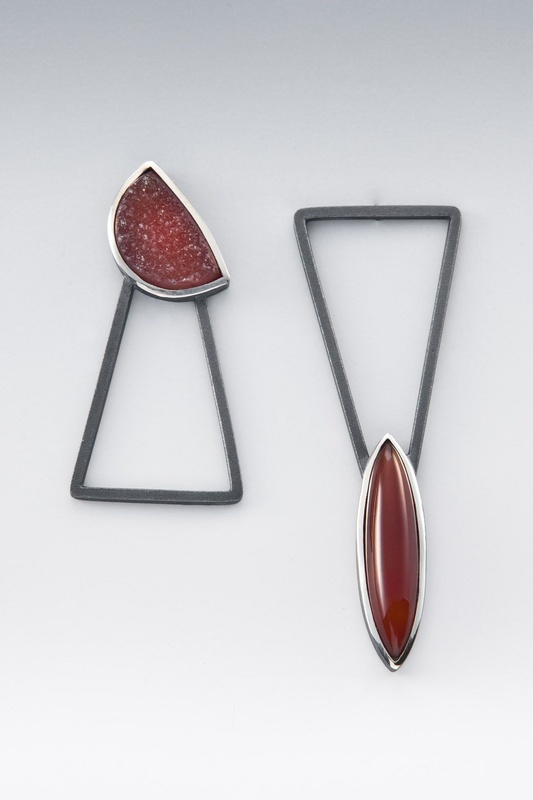 Even if you’re not interested in a custom piece, I hope that you’ll stop by the store to see Janis’ other work– you may have heard me say this before, but I especially love her mismatched, asymmetrical earrings (like the ones pictured — oxidized silver, drusy and carnelian) and overall contemporary style of design. The event runs from Friday, May 18 through Monday, May 21, and if you’d like to meet with Janis to talk about a custom piece, please call the store at 952-922-8364 for an appointment.